Smart Z-wave devices are the future; don’t you want to be a part of it. We know that using smart technology helps one to be more productive; imagine you are in a hurry to your work and you are not sure if you closed your garage or you did not, you are going to stay out of focus all day long until someone checks it for you or you do it yourself. However, if you had the Z-wave garage door opener installed, you are going to check if the garage is opened or closed just by glimpsing at your app on your smartphone, and the best part is that you could close the garage door just by one click even if you are far away from your house. In addition, you become more aware of the status of the garage door 24/7 and this could be achieved by activating the “receive notifications”; for example, you might get an alert otherwise an SMS Text in which it tells you the status of the garage door. Simply, this home automation device : Linear GD00Z is making life easier. 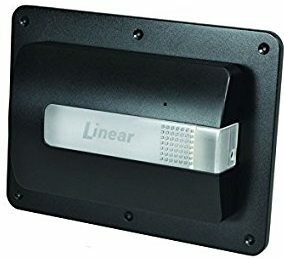 The Garage door controller is a relatively large device (approximately 5.25” x 7.5” x 1.75” in) and is made to be installed near the garage opener. It utilizes the same outlet powering the opener. It is made from plastic. It comes in a black colour, it is light it weighs around 1.6 pounds, and it also includes batteries, which can last up to 43800 hours. Its input is 120V, 50/60Hz, and its range is up to 100 feet between the wireless controller and / or the closest Z-Wave. Installation is very easy. So, make sure you read the manual for Z-wave device very closely and pay attention to its pairing process. It has a sensor that you stick to the garage door. The sensor communicates wirelessly to the main control unit. This tells the unit if the garage door is open or closed. Moreover, the open/close sensor is about an inch long and runs on a button battery. The main controller gets power from 110v AC outlet; its size fits in hand perfectly and it is the Z-wave “brain”. Overall, this unit is nicely designed. Most importantly, it closes the garage door using the Z-Wave commands by flashing a bright light and making a warning alarm before the operation starts. It is important to know how quiet this unit is, because it should be. Sometimes we have to leave the house in the early morning or come after midnight when the neighbours are asleep. Best of all, z-wave uses very little energy, so it is energy efficient as it makes you more energy efficient. The GD00Z is compatible with many popular Z-Wave controllers since 200 company makes Z-wave products, resulting in many Z-wave devices that are going to work together. Because a z-wave hub controls them all. Finally, yet importantly, after doing many researches we found that the GD00Z-2 works well with the Almond+, if you already have one. 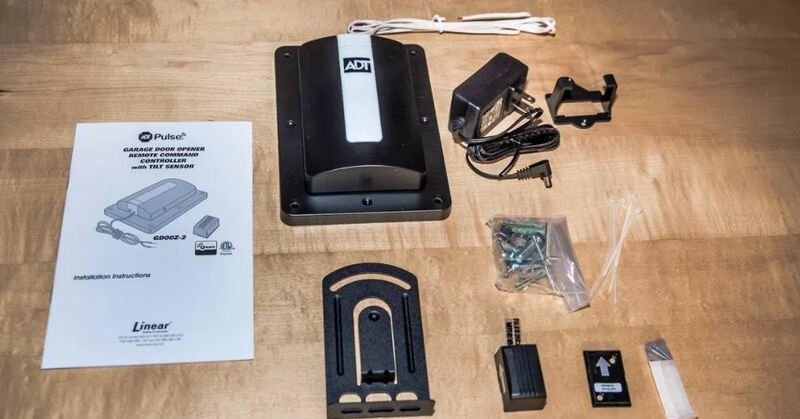 This door opener makes opening and closing smart and safer. Hence, we come to the price of this Linear GD00Z, discussing its price which is not less important than the features it offers. I think this unit is worth considering if you are looking to stay focus on work without worrying about the status of your garage door. Of course, the unit is a little expensive but gets the job well done. The features of this unit are more than enough, which means that this unit is packed with useful features. It is what anyone nowadays is looking for, so I highly recommend the Linear GD00Z. To sum up, Linear GD00Z is quiet, easy to use and maintain as well. To become the proud owner of one of these, take a look at Amazon. You never know, they may have put it on sale. It is indeed in every sense of the word, a smart device.